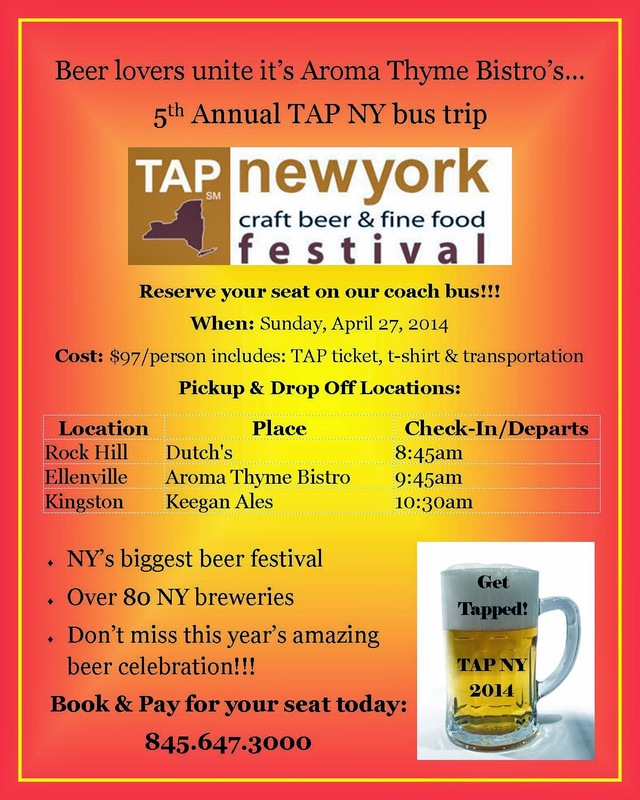 We are planning our 5th Annual TAP NY bus trip from Aroma Thyme. This is the biggest beer festival in NY. Beer lovers join over 80 NY breweries every year for this incredible beer festival. This is the beer event that you don’t want to ever miss. And this year we are making it easy for you to attend. We are planning a bus trip from Aroma Thyme in Ellenville on Sunday, April 27th 2014. $97 per person, includes TAP tickets and transportation. What is TAP New York?